I’m going into battle with my sleeve draft tonight. To boost my morale, I needed an easy win. 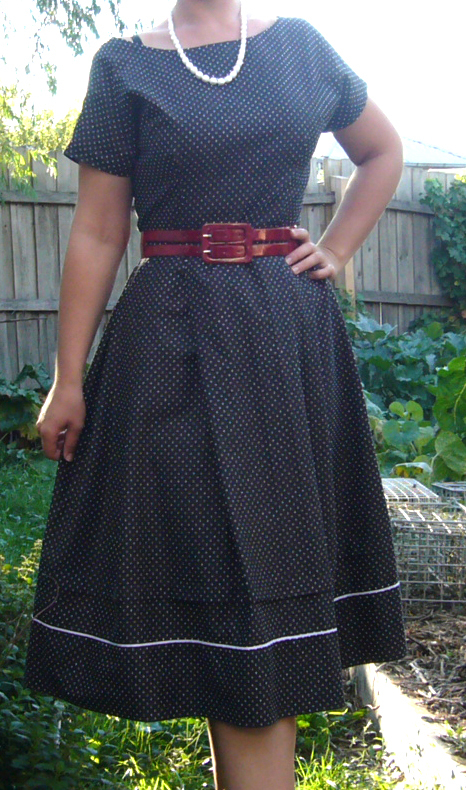 A simple frock that didn’t require complicated adjustments and I could wear immediately. 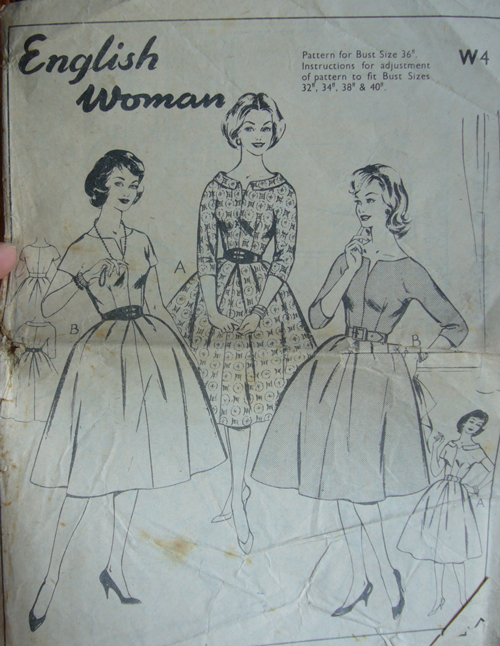 Fossicking through the pattern stash produced this funny old pattern from English Woman magazine that I picked up in an op shop eons ago. Note there’s one pattern for bust sizes 32″- 40″, all you do is change the size of the seam allowance! I loved Emma Destruction’s birthday dress and wanted something similar. Reckoned I could omit the neckline slit from this pattern. And lo, behold, I did, and it was good. Fabric is 100% cotton with a tiny white square print. It’s actually an old sheet… see that white stripe at the hem? That’s the turn-down detail on the sheet. Cunning, or what? There’s a tuck in the skirt because it was a bit long and I plan to do another, plus pull it in at the back so it doesn’t slip off my shoulders so much. I also improvised the skirt pleats because I couldn’t be arsed cutting and marking. Worked a treat. Easy win done. Self-worth and confidence inflated. I can do this sleeve. I can. Off I go, into battle now.